Students and school faculty will soon have the opportunity to show their appreciation to cafeteria staff during School Lunch Hero Day. On May 3, Nutrition Services will celebrate School Lunch Hero Day, a nationwide celebration that honors school nutrition professionals for the valuable work they do each day. The observance will allow students and school staff to celebrate their campus’ cafeteria team. This entry was posted in Business Operations, Food Services, News, Nutrition Services and tagged business operations, nutrition services on April 17, 2019 by HISD Communications. 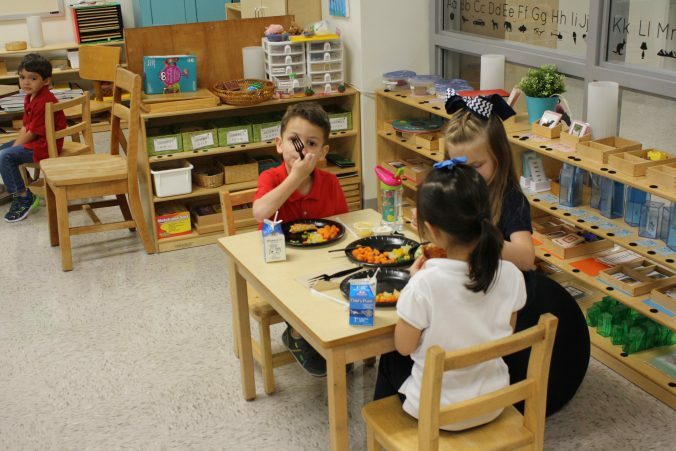 When it’s time for lunch, Garden Oaks teacher Terah Kuhnen’s pre-kindergarten students take out their blue and white placemats and begin setting the table around the floral centerpieces. She walks about the classroom, filling their trays with the lunch for the day. Once the children are seated, she begins to eat her own meal — usually the same food her class is enjoying. This is family-style lunch, a program that was launched at the start of this school year in Garden Oaks Montessori’s Children’s House classrooms, where 3-, 4-, and 5-year-olds work and learn together. This entry was posted in 2012 bond, Business Operations, Food Services, News, Nutrition Services and tagged 2012 bond, Garden Oaks Montessori on April 10, 2019 by HISD Communications. 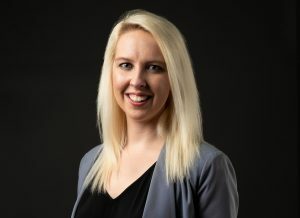 HISD Nutrition Services Food Literacy Manager Julia Jarrell has been selected as one of the 2019 Texas Academy of Nutrition and Dietetics Recognized Young Dietitians of the Year. Jarrell was nominated and selected for her progressive work in teaching HISD students how to lead healthy and productive lives through good nutrition. This entry was posted in Business Operations, Food Services, News, Nutrition Services and tagged dietitian award, food literacy and inclusion, Julia Jarrell, nutrition services, top dietitian on February 21, 2019 by HISD Communications. Three Milby High School culinary students were transformed into real world chefs on Thursday, as they led the campus kitchen staff in preparing an award-winning meal for fellow students. Students Jordyn Moore, Roberto Blas, and Estevan Mata — collectively named the Broadway Buffs — were the second-place winners of the national Cooking Up Change competition, which they advanced to in June after winning top honors in the district’s competition earlier this year. This entry was posted in Business Operations, Food Services, High Schools, Nutrition Services and tagged Broadway Buffs, cooking competition, Cooking up Change, Milby on September 19, 2018 by HISD Communications. When most people think about students’ favorite lunches, they think of the standards – pizza, hamburgers, mac and cheese. But the introduction of salad bars at school cafeterias across the district is challenging the notion of what students enjoy eating. This entry was posted in Business Operations, Elementary Schools, Food Services, High Schools, Middle Schools, News, Nutrition Services on September 14, 2018 by HISD Communications.